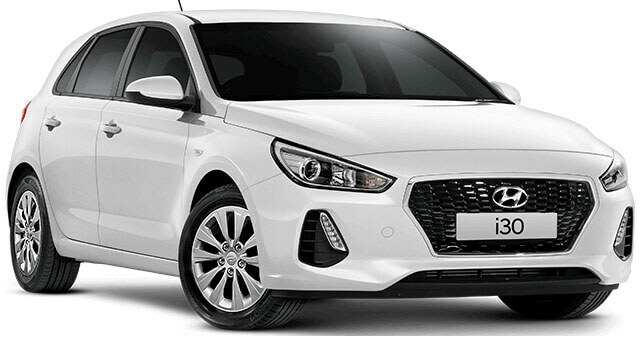 Hyundai's award-winning small car. Reinvented. What do you do after you've won Australia's Best Cars award six times? You start again. That's exactly what we've done with the Reinvented i30. The i30 features a new front design with Hyundai Motor Chief Design Officer, Peter Schreyer calling it the "cascading grille" - Hyundai's new signature feature. The Active trim is available with a chrome surround front grille, with a piano black grille insert. All other variants feature a chrome 'falling mesh' grille insert, which ties in with the new cascading design. 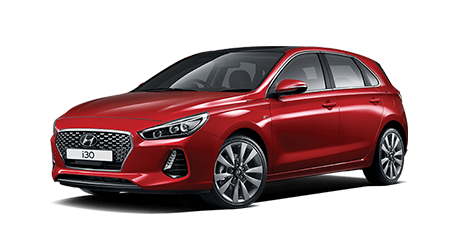 A feature typically reserved for much more expensive vehicles, the large full-length dual panel panoramic glass sunroof features a power tilt and slide front panel, offering a touch of luxury to the i30. 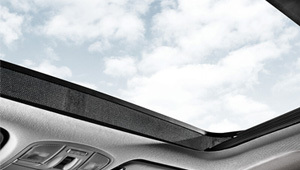 Additionally, the motorised sunblind can be closed completely to offer shade for occupants when desired. Available on SR Premium & Premium variants, and is optional on SR and Elite variants. 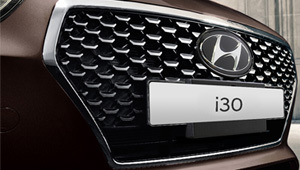 The all new i30 offers year round comfort for front seat occupants thanks to the heated and ventilated front seats. 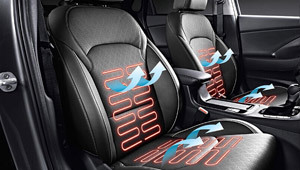 The 3-stage heating elements ensure the front seating surfaces are warmed in cool weather. During hotter conditions, 3-stage ventilation fans blow a gentle stream of cooling air through the perforations in the leather seats. These features are standard on SR Premium and Premium variants. 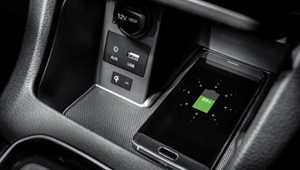 Mounted in the centre console, a wireless charging pad (Qi standard) allows users to charge a compatible Qi-enabled smartphone without the use of messy and unsightly cables. For other devices, users may be able to purchase a third-party smartphone accessory (such as a Qi-enabled phone case) to allow the use of wireless charging on their non-compatible smartphone. 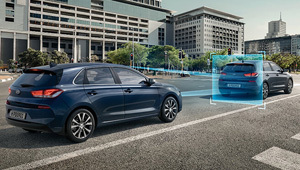 Forward Collision Warning (FCW) when active utilises the front radar sensor & windshield mounted camera to detect vehicles and pedestrians in front the vehicle. If a potential collision is detected, the FCW system will sound an audible warning chime and display a visual warning in the Supervision cluster. This is available on SR (DCT only), SR Premium, Elite, and Premium variants. 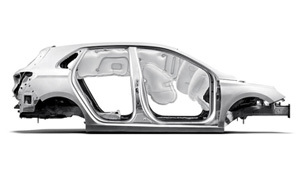 We won't settle for anything less than 7 airbags and 5-star ANCAP rating. 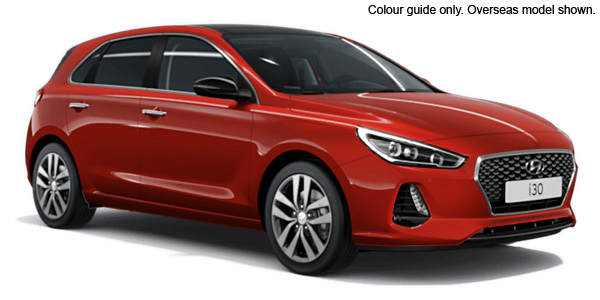 The i30 has been fitted with some of the most advanced safety features, and the 53% ultra-high tensile steel chassis makes it the strongest i30 ever.